Will Syria use its Chemical Weapons? Syria will not use any chemical or other unconventional weapons against its civilians, and will only use them in case of external aggression. This is a regime of profound mendacity and viciousness, can they be believed? The answer is a qualified yes. The official Syrian statement focuses on external actors. Outside powers have been cautious in their support for Syria’s rebels. There are many reasons for this, political and operational. The heavy armor and air power remains a critical advantage for the Baathists. A NATO air campaign could remove this advantage fairly quickly. The complaints about Syria being a tougher target then Libya are probably more an issue of logistics then of Syrian capabilities. Israel has demonstrated the ability to operate in Syrian air space at will. It is tough to imagine that NATO could not do the same. However, the Libya operation strained NATO’s capabilities substantially. Syria would require a far greater commitment (there are many, many more targets) and there almost certainly would be accidents, which could result in both civilian and NATO casualties. Chemical weapons are a taboo and if the regime turns to them, NATO’s dithering would come to a very quick end. Understanding that, the Syrian regime loses little by declaring it won’t use them domestically – since doing so would bring international repercussions that would probably end its existence. At the same time, the chemical weapons act as a deterrent, sending the message that if foreign powers do get involved, Syria will use them. If the regime is going down anyway, they could launch these weapons at Israel, Turkey, or some other civilian target and potentially cause mass casualties. The chemical weapons serve as a longer-term bargaining chip. If the Syrian regime is moving towards an Alawistan, control of the chemical weapons (and the threat of loose chemical weapons) could be useful in achieving some level of international recognition – either dejure or defacto. The problem with this sort of scenario is the extent to which it limits the freedom of action of Americans and other opponents of the Baathist regime. If the regime is going to fall eventually anyway, the US needs to engage the rebels to keep a hand in the post-Assad era (which, knowing the Middle East has every opportunity to be very ugly.) But the rebels want substantial support, not more international resolutions. Will that kind of support – if it is traced back – be viewed by the Syrians as external interference and trigger chemical weapons usage? Maybe not, since the use would just trigger the air-strikes the regime doesn’t want anyway. If the West needs a careful, undetectable tool to use against the Syrians – what about cyber-weapons? Could cyber-strikes be used to interfere with the Syrian regimes’ command and control? What if the orders for the planes to fly and the tanks to roll simply aren’t transferred (or if the supplies needed to make these things happen are not put in place)? This is the kind of thing US planners have worried could happen to the US in a conflict. But Syrian communications may in fact be technologically unsophisticated enough to make such attacks unworkable. Also, Syria has been a victim of such strikes before and may have strengthened its defenses. Even if the Syrian regime is an appropriate target for cyber-weapons it is not cost free. When cyber-capabilities are used, they are no longer secret. The attacks would probably not be detected in the short-term, giving the attacker the plausible deniability needed. But eventually, the information would emerge and it would give potential adversaries (state and non-state) tremendous intelligence about what the United States was capable of and ideas for how to develop their own systems. However, if these tools can be effectively applied to reduce the bloodshed in Syria, it is an option that should be taken very, very seriously. Rep. Michele Bachmann’s former campaign manager has joined the bipartisan chorus criticizing the Minnesota Republican for questioning the loyalty of State Department aide Huma Abedin and alleging she has ties to the Muslim Brotherhood. And in an unusually direct speech aimed at members of his own party, Sen. John McCain (R-Ariz.) took to the Senate floor to defend a longtime aide and confidant of Secretary of State Hillary Rodham Clinton. Is this a form of McCarthyism on the part of Bachmann and four House colleagues? Or are they raising legitimate issues about national security threats? Given the scale and needs of the U.S. government, infiltration by foreign agents is a legitimate concern. But it is an issue best handled quietly through the existing security procedures. Tightening those procedures is a security risk in its own right, as it could deny the nation the services of talented immigrants who have much to offer. The fact that the State Department and other agencies - over a decade after 9/11 - still do not have adequate speakers of strategically critical languages suggest the security checks remain onerous, rather then lax. In the case of Ms. Abedin, publicly naming and shaming individuals is offensive and not how things are done in the United States. Different policy preferences are not the sign of a conspiracy. The State Department's moves towards engaging the Muslim Brotherhood is a policy option, dictated in great part by the reality of events in Egypt. It may be unwise (although it is tough to see other options) but it is not the result of secret cabals. Similarly, that many Muslim-Americans do not share the warm feelings of a majority of Americans about Israel does not make them unpatriotic - these are legitimate political beliefs. The Constitution guarantees freedom of expression and organization - even of ideas with which I do not agree. Finally, historically new immigrants and their offspring - grateful for the blessings of American society - have demonstrated tremendous patriotism and served this country courageously. Changing this dynamic, which has been such a source of strength to the United States, would be a grievous blow to national security. I take the Muslim Brotherhood seriously as bad guys - in fact in terms of organization and strategy (although emphatically not ideology) they were modeled on the Bolshevik Party as an organizational weapon intended to advance ideology into the public sphere (as opposed to a political party that seeks to turn preferences of the general public into policy.) But, accusations that individuals are Muslim Brotherhood agents need to be made with some care - no "I have here in my hand a list..." gambits. If, completely hypothetically, it were true there are non-public ways to manage pressing someone to resign. If an aide were that toxic, undoubtedly the politically sensitive antennae of Madam Secretary would detect it very quickly and resolve the problem (probably through a political decapitation). Geopolitically, the Muslim Brotherhood does not have a super-power behind it like the Communists did. Wariness is appropriate, but the idea that Sharia is going to sneak up on us is an insult to the resilience and strength of American society. Further, a high-ranking aide at State may play a significant role (I study bureaucratic politics so I do believe this) but there are limits. The rise of the Muslim Brotherhood in the Middle East and American dealings with it go far behind anything at a single desk in Foggy Bottom. There were two bombings in the headlines today, the attackon Israeli tourists in Bulgaria and the successful assassination of several keymembers of Assad’s inner circle in Damascus. Short analyses follow, first of the attack in Bulgaria and then of the attack in Damascus. Hezbollah (and Iran together, of course) has been trying to hit Israel for about four years now. The tempo of efforts – mostly failed (with a partial recent success in India) has been high. This does not change my fundamental argument that Hezbollah has is having a great deal of difficultycarrying out long-distance attacks against Israel. But eventually one was going to work. The key was apparently in finding a country with sufficient security holes and unfortunately Bulgaria fit the bill. The nagging question is if there is any broader element to this attack? The AMIA attack (which was 18 years ago today) and the attack on Israel’s Embassy in Argentina two years earlier were revenge attacks for Israeli attacks on Hezbollah leaders. This was a belated (by four years) revenge attack for the death of Hezbollah operations chief Imad Mughniyeh. But was there another angle? If so, it is tough to see. A bombing in Bulgaria will not change dynamics in Syria. It may increase international frustration with Iran – which some elements within Iran appear to desire. They fear that their leaders will bargain away Iran’s nuclear program. But more then likely, this is Hezbollah and Iran’s terror-masters doing what they do. Terrorist groups are organizations and units within organizations that are dedicated to certain tasks like to do those tasks. In particular, the groups that like to carry out violence, want to launch attacks and if they don’t get to they get frustrated and possibly splinter. When the regime falls, there will be no Truth and Reconciliation Commissions about the Alawite Baathist regime. Long before the Assad clan took power, the Alawites were a despised minority. That they ruled the country was an insult, but there was no lack of injury at their hands. When the regime falls there will be mass murders and beheadings. The atrocities in the uprising have engendered so much rage. Even if the regime had fallen quickly, there were so many other misdeeds by the rulers over the past several decades that it is difficult to imagine some sort of accord being reached. In the Middle East, memories are long. If Bashar wished, he and his cronies could jump on their private jets and get out. Perhaps he still will. But it appears he is establishing himself as the defender of his community, in which he must stop at nothing in their increasingly final stand. There are reports that the US is making contingency plans for regime collapse in Syria. This day, like the collapse of Mubarak's regime, was not completely unpredictable. I'm not saying that anyone should have just known this was going to happen but rather that a prudent analyst would recognize that these regimes were both rickety and could collapse. The fact that they both lasted for such a long time considering their enormous failures in governance does not mean that they were somehow protected from the great fault-lines of history. It is an old maxim that plans are nothing, but planning is everything. The military plans for everything because doing so prepares them - as much as possible - for the unexpected. Was no one in the massive bowels of the US government (outside of the military) thinking through what could happen in Syria (or sometime soon in Yemen or North Korea?) That kind of thinking is something well worth doing and worth doing well. 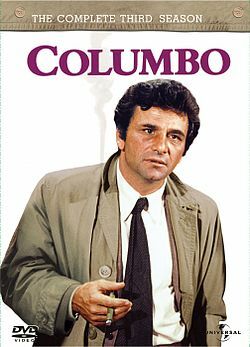 In college I developed the “Columbo Theory of History.” In retrospect, it isn’t actually a theory really, but it has come back to me bit. At the time I was watching a lot of Columbo mysteries and could even do a halfway decent impression. I also obtained a worn-out used raincoat and of course being disheveled came naturally. This was odd, but I went to a college with a particularly high percentage of people wearing enormous Dr. Who scarves, so on the weird scale I was far lower then I would have been in the outside world. I happened to read Keegan’s The Mask of Command about great military leaders. Keegan profiles Alexander the Great as the classical hero, Duke of Wellington as the anti-hero, U.S. Grant as the un-hero, and Hitler as the false hero. In episodes of Columbo, the villians are always dramatic, charming, and creative figures. While Columbo had his charm, he also slowly worked through the case driven by duty and persistence. I began to see these generals this way as well. Napoleon was a world historic figure – larger then life in every respect but physique. Wellington was merely a humble servant of the crown. But he worked hard and was an individual gifted with enormous powers of calculation and analysis. Keegan mentions Wellington obsessively studying how French armies marched and thereby identifying the perfect moment to launch an attack. Of course the comparison between Grant and Lee fits the mold almost perfectly. Lee was a handsome, brave, aristocrat, and a tremendous military talent. Grant was plain, simple, and had been a failure in civilian life. In one respect, the comparison is imperfect – Grant and Wellington were taciturn where Columbo was loquacious. This extends beyond generals. I heard from an academic who traveled regularly to Egypt and met with Muslim Brotherhood leaders who remarked that Mohammed Morsi was just about the last figure he would have predicted would end up leading Egypt. He was far less dynamic then the other Brotherhood leaders. But sometimes the patient and driven succeed where the charismatic fail. Columbo types aren’t necessarily good guys. No Kremlin-watcher after Lenin died would have predicted the rise of Stalin. There were many other, far more impressive figures in the Politburo such at Trotsky, Kamenev, and Bukharin. But it was Stalin – physically and intellectually dwarfed by these other figures who patiently (and brutally) clawed his way to the top. I am writing about Martin Van Buren now. Even a close ally described him as unable “to inspire respect.” He served in the glory days of the Senate – which was dominated by such giants as Daniel Webster, Henry Clay, and John C. Calhoun. All of them lusted for the Presidency. But it was Van Buren who achieved it. Van Buren had faced giants before, battling for control of New York state with Governor Clinton – another larger then life figure. Earlier in his career Van Buren recognized that oratory was over-rated and invested his efforts into timing and maneuver. Other vice presidents who have found the job congenial have been careful, detail oriented sidekicks to more dramatic figures. Of course, Grant, after his victories became an renown personage - when he first came to Washington DC as general, rooms fell to a hush when he entered. He became the hero, just as on TV it was ultimately Columbo for whom the audience was rooting. OK, so it isn’t a theory – but it is an interesting illustration, a way of seeing things. Yesterday, synagogue attending Jews the world over heard the story of Balaam. About 200 years ago when I had my bar mitzvah it was my parsha (portion). I believe that one's parsha is not an accident, and thus this story has a special meaning for me. A capsule summary is that Balaak, a Canaanite king, sees the nation of Israel coming and worries that he will be swamped and over-run by them. So he tries to hire Balaam, a well-known non-Jewish prophet, to curse the Isarelites. Balaam wants to do it, because he will be well-paid but Hashem (Hebrew for The Name, a respectful traditional term for the big boss upstairs) tells him no. Balaam really wants the money, and keeps asking. Finally Hashem gives Balaam permission. As he travels to the mountaintop to make the appropriate sacrifice to go with his curse, an angel wielding a sword appears before him but he doesn't see it. The donkey Balaam is riding sees it and refuses to go forward. Balaam beats it in frustration. Suddenly the donkey is given the power of speech and castigated Balaam for not seeing the angel and for the beating, since the donkey effectively saved Balaam's life. Balaam does his sacrifice but when he tries to level a curse, instead only blessings issue from his mouth. But I also took it as a meditation on the power of words. It is difficult with our modern sensibilities to take seriously the idea that Balaam is a sorcerer - perhaps he was more a spin artist hired to make the Israelites look bad - Balak was carrying out an early public diplomacy campaign. But even in reducing Balaam from sorcerer to spin doctor the appearance of the talking donkey emphasizes the power of words. Able to transfer complex ideas and profound feeling: language is an incredible thing - ephemeral and powerful at the same time. Language IS magic. Religion, for many, exists as an expression of awe. But many of the things that pervade our lives are, when viewed from some distance, awesome. The recent power outages were a quick reminder of what a simply amazing thing electricity (now a common utility) really is. Maybe this had some impact on me, since I'm a writer. Another fascinating feature of this pasha is how, alone among all of the Old Testament it focuses on "the other guys." It is equivalent to the scene in Star Wars when Vader and Tarkin are discussing their next move. It is interesting that this particular type of plot turn occurs at that point in the narrative. I've spent much of my career trying to understand what adversaries are up to, somehow that doesn't seem like an accident. Finally, Balaam himself is a sell out. He has tremendous skills - after all he can speak with Hashem but he seeks to use them for little more then worldly gain. Is that, truly, what we are given talents for - to achieve wealth and honor (not bad things in and of themselves) but at the expense of values? I was blessed with parsha that provides much food for thought for now and the rest of my life. The revelations on Stuxnet and Flame have increased discussions about the nature and meaning of cyber-war. I cannot refrain from a touch of self-promotion. An article I co-wrote with RPI's new Computer Science Chair Jim Hendler called this one shot-by-shot. There will and needs to be a long and complicated discussion on cyber-strategy. The discussion will combine elements of the discussions on nuclear strategy - but also with discussions (still loudly ongoing) about the proper responses to terrorism. In a rather profound sense, these discussions may be as significant as the discussions on nuclear strategy that began decades ago. While cyberstuff does not have the same sheer apocalyptic quality that nuclear issues do - it has quickly begun to pervade every corner of life in modern developed societies. There is some theoretical discussion of terrorist groups acquiring nuclear weapons. But terrorist groups face a number of issues acquiring and deploying nuclear weapons. Everyone is playing in the cyber terrain. This is not to say that cyber-weapons are magic equalizer for terrorists and weaker states. Developing a cyber-weapon, while not cheap, is doable for terrorists and certainly for small nation-states. One estimate suggests that the cost of developing Stuxnet was about $1 million. Even if that figure is off by a factor of dozens, it is a level of resources that CAN be acquired by a non-state actor and any nation-state. It is tiny compared to the billions needed to develop even a modest nuclear program. However, the real cost of Stuxnet was the careful targeting and delivery. Reportedly Israeli intelligence built mock targets in order to make sure Stuxnet worked properly and then had to get the virus into an air-gapped network. This is the part that would be expensive. Malefactors may choose to attack less guarded systems (such as civilian infrastructure) but then there is the risk that the attack will not achieve much. Causing a blackout in part of a country - while a huge inconvenience - may not further the attackers strategic objectives. Nonetheless, there are a number of offensive actions possible in cyber-space that have to be considered and managed. Vandalism, crime, and espionage all cross national borders quickly, are difficult to trace and could potentially be provocative. The need to establish rules of the road so that these issues do not spark wars is tremendous. At the same time, major initiatives need to be taken in order to limit these lower level cyber-issues. While they may not be immediate national security issues, they denigrate the utility of the Internet overall - and maintaining the security and viability of this now ubiquitous and ultimately beneficial system is a matter of global security.